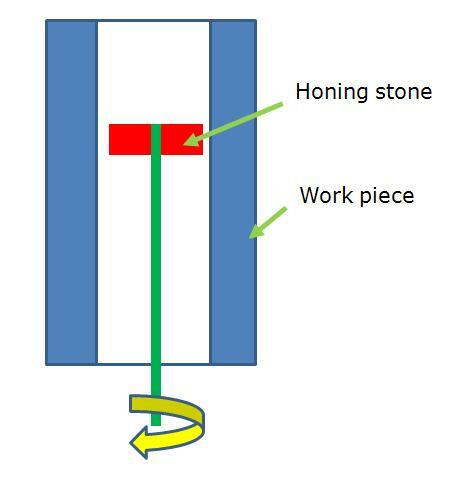 The honing process is carried out by mechanically rubbing the honing stone (cutting tool here) against the work piece surface (normally internal) along the controlled path. Honing can produce a surface roughness level up to 0.1 micro meters. – Equipment cost is quite high. – Tool wear is quite high. Ideal applications: Ideal for finishing the internal surfaces of I.C engine cylinders, hydraulic cylinders and other cylinders where retention of lubricants film over the surface is important functionally.